Redco™ Safeguard™ is a lining material made from Premium Quality Natural rubber that provides exceptional surface protection against corrosion and outstanding anti-abrasion properties. Redco™ Safeguard™ is the optimal choice in mining, cement, concrete and aggregate, wherever abrasion and wear resistance is critical. Redco™ Safeguard™ TAN40 is a 40A hardness, “universal liner” material offering superior tensile strength, cut, tear & abrasion resistance. A snappy elastic compound offers great rebound and can easily be prepped for adhesion to various metal substrates. 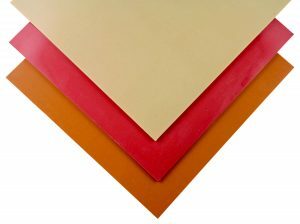 Redco™ Safeguard™ ORANGE45 is a 45A hardness sheet rubber which provides exceptional wear and abrasion resistance. UV stabilized for outdoor applications and excellent wet/dry performance. It is also available with a “prep-back” bonding layer for easy bonding with Redco™ Strongbond cold vulcanizing adhesive. Redco™ Safeguard™ RED38 is a 38A hardness premium natural gum rubber with superior performance to all other gum rubber products. UV Stabilized for continuous outdoor use and formulated to excel at slurry abrasion and sliding wear applications. Redco™ Safeguard™ RED38 is especially effective vs. fine particulate such as sand or where excellent cut & tear resistance is mandatory. It is available with a “prep-back” bonding layer for easy bonding with Redco™ Strongbond cold vulcanizing adhesive. Cement socks, sleeves and chute liners, conveyor skirts & aprons, tank, chute and pipe lining, classifier and concentrator parts, trammel liners, gaskets, mining parts, etc. Available Thicknesses: 1/16” through 1” thick. Custom molded and extruded as parts. Sheet Size: 48” wide standard rolls, strips and various cut-to-size parts. 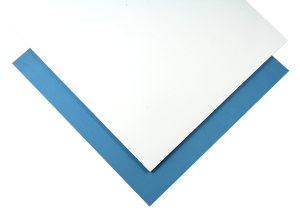 Redco™ Neptune™ Blue Rubber sheet (Silicone, EPDM and Nitrile) is a FDA approved material that is easily identified in food and beverage processes and is a cost-effective way to increase safety and decrease costly contamination problems. Uses: Most food & beverage applications, skirting, seals, spray aprons, gaskets, etc. Redco™ EPDM-P60 is a specification grade of EPDM tested & certified to ASTM standards, for critical applications. When our customers require superior resistance to weathering, UV, extreme temperatures and steam for the most demanding engineered applications. Redco™ EPDM-P60 is available in both Sulphur cure and peroxide cure, for improved temperature and chemical resistance. Advantages: High temperature & steam resistance. Upgrade to: NEPTUNE™ Food Safe EPDM Blue, VITON, or contact Redwood to discuss your application. AKA: EPDM, Ethylene Rubber, EPD, Ethylene-Propylene-Diene-Monomer. Redco™ NBR-P60 is a specification grade of Nitrile tested & certified to ASTM standards, for critical applications. When customers require a Premium compound of the highest acrylonitrile (ACN) content, for the most demanding engineered applications. Used when increased resistance or continuous exposure to oils, fuels, hydrocarbons and inorganic chemicals is necessary. It is also available in FDA Certified White, for Food-Safe applications. REDCO™ NBR-P60 is also suitable for demanding machinery components and anti-vibration parts, where long-term oil resistance is critical. Advantages: Outstanding oil resistance and excellent mechanical properties. Limitation: Limited use in extreme cold, limited resistance to polar liquids, oxidizing agents and chlorides. Upgrade to: Neptune™ Food Safe NBR Blue, HNBR, XNBR, VITON. Uses: Machinery gaskets, heat & oil resistant parts, hoses, sleeves, food processing parts, etc. Redco™ NEO-P60 is a specification grade of Neoprene tested & certified to ASTM standards, for critical applications. When our customers require a Premium compound of the highest chloroprene content for demanding engineered applications which require the balance of properties Neoprene is famous for. The additional chlorine molecules in its elastomer matrix, enhances its ability to resist oils, while offering superior mechanical properties and very good weatherability. Advantages: Excellent resistance to abrasion, oils & weathering. Flame retardant. Upgrade to: Redco™ NBR-P60, VITON, or Contact us to discuss your application. Redco™ VITON™ P70 is a specification grade of FKM fluoroelastomer tested & certified to ASTM standards, for critical applications. When customers require a Premium compound with a guaranteed minimum 66% fluorine content and true “VITON™ brand raw materials, for the most demanding engineered applications. Redco™ VITON™ P70 is known for its extreme chemical resistance and high-temperature resistance. This material is used in applications that would destroy most all other rubber compounds. Formulated for a wide variety of applications; additional specialized grades of Viton “F”, “B” and “A” are also available. This formula offers a distinctive “cinnamon” odor to aid in identification. Color: Black, Green is available upon request. Available Thicknesses: 1/32” through 3/8” thick as well as custom molded and extruded as parts. Advantages: Extraordinary properties save downtime, production losses and maintenance costs. Limitation: Lower resistance to esters and ketones. Upgrade to: Contact us to discuss your application. Uses: O-rings, gaskets, seals, diaphragms, hose sections, pump components. A specification grade of textile-reinforced Neoprene tested and certified to ASTM standards, for critical applications. Redco™ NEO-PNi70 offers a higher Mullen burst pressure than other reinforced grades, exceeding 800 psi. Redco™ NEO-PNi70 offers a wide range of physical properties, weather and oil resistance, plus greatly improved tear and puncture resistance. Available Thicknesses: 1/16” through 1/4” thick. Other thicknesses are custom produced. Advantages: Excellent resistance to burst, tear and puncture. Limitation: Reduced low-temperature abilities below -15°C and limited chemical compatibility. Uses: Diaphragms, gaskets, grommets, engineered parts, etc. Incorporating all the advantages of our Redco™ EPDM-P60 specification grade, Redco™ EPDM-PNi60 is a premium EPDM with the added advantage of a reinforcing layer of nylon textile included within the rubber matrix. For use where the UV, Ozone or temperature of EPDM is necessary, with the improved puncture and tear resistance is critical. Also available in Peroxide Cure, for extreme temperature resistance. Available Thicknesses: 1/16” & 1/8” thick. Other thicknesses are custom produced. Advantages: Mullen burst resistance of 600 PSI minimum. Limitation: Limited resistance to hydrocarbons & oxidizing agents. Uses: Diaphragms, fabricated assemblies for dust-control, high-temperature water-box seals and spray aprons. AKA: EPDM, EP Rubber, Ethylene Rubber, Diaphragm Material.